Most of the caravan have now reached Mexico City, where they are pausing to regroup. The group is being housed in a sports complex and provided with medical and legal assistance. 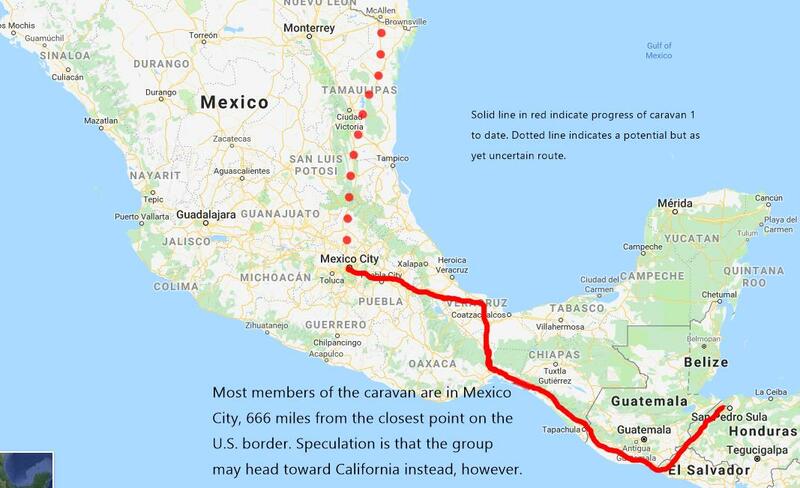 While the McAllen/Brownsville area of Texas remains the closest point along the U.S. border, a representative of Puebla Sin Fronteras–an organization supporting the migration–was quoted as saying that California, more than 1700 miles away, is the caravan’s actual target. A previous caravan in the spring made a similar choice but dwindled to 200 before they reached their goal. Reports suggest that the current group may linger a while in Mexico City as plans are solidified. Stay tuned.